From abstract floral embroidery to modern print, Fantasie serves up beautiful collections of lingerie for AW17. Offering a fresh twist on traditional florals, the collections feature deep rich berry colours and hints of lighter tones with contrasting textures that create a sophisticated and contemporary feel. These collections are perfect for the new season with the transitioning floral trend, which can be worn from morning to night. Immerse yourself with Hayley, adorned with an exclusively designed Fantasie print inspired by photographic florals and luxurious lace detailing. 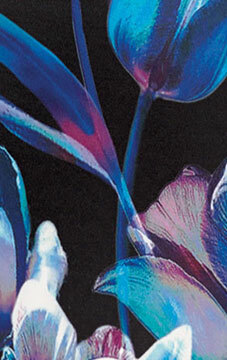 Stunning hues of cobalt, teal and violet rest on a striking black base. Available in an side support bra (available from a D-H cup) which provides exceptional support and comfort, complete with co-ordinating bows to compliment complement the look. The bra can be matched with a choice of brief (available from XS-2XL), short (available from XS-XL) and thong (available from XS-XL). 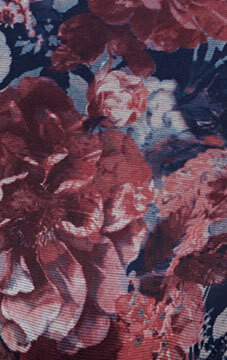 Inspired by abstract florals, Erica combines sumptuous tones of midnight with pastel pink highlights. Swiss designed embroidery and delicate bows decorate the bra and coordinates giving a luxurious look. Erica is available in two gorgeous bra styles; vertical seam and uw side support. The vertical seam bra creates cleavage and uplift without padding and offers great comfort and support (available from a C-G cup). The side support bra includes a three piece cup with side support for uplift and forward projection (available from a D-H cup). Choose from either the brief (available from XS-XXL) or the thong (available from XS-XL).